We've all been in that situation where we think we have lost our phones. Nightmare, right? But then it turns up down the back of the bloody sofa and the world is okay again. What about if you lost it at a festival full of boozed-up, partying mobs of total strangers. No chance you'd see it again, I'd reckon. Well, that's not taking into account some of the kind-hearted souls out there who remind you that there is still some good on the planet. 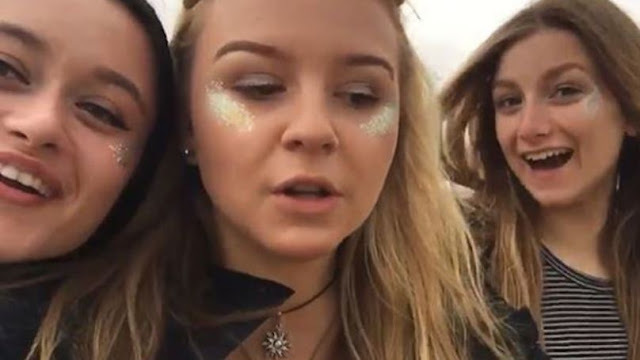 Kayleigh Budd lost her phone at Reading Festival over the weekend and, if she is anything like me, she would have been having a total meltdown and going into a manic search. But Kayleigh wouldn't have considered the work of three girls going by the names of Charley, Zoe and Georgia. The unscrupulous members of society would have put a lost phone up for sale faster than you can say 'ker-ching'. However, the three musketeers for goodwill handed in the phone at the festival and they also posted a class message. Respect. Kayleigh is desperate to find the trio in order to say thank you. She told getreading: "I was looking for it for about 20 minutes but my friend called it then someone answered saying they had it at lost property," she said. "I was so happy that people were nice enough to hand it in. "Sometimes it's hard for me the trust people and I was nervous about going to Reading as it was my first festival, if it wasn't for them handing the phone in I wouldn't have been able to capture the memories. "It made me realise there are some really sweet people out there and they deserve to know that what they did was really appreciated." Well played, Charley, Zoe and Georgia. If you can help Kayleigh find the girls, let her know on Twitter.